Every detail of The Handmaid’s Tale, from the perfect shade of red to a ray of light that illuminates a scene just so, is done with purpose and significance. 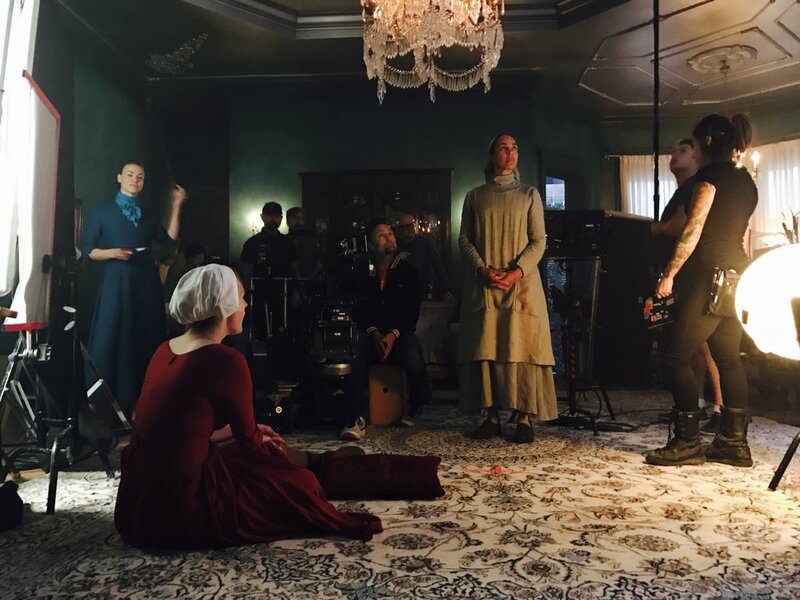 To showcase these details, Hulu turned to the shows’ creators to share their POV and contributions through the #MyHandmaidsTale Instagram Diaries. 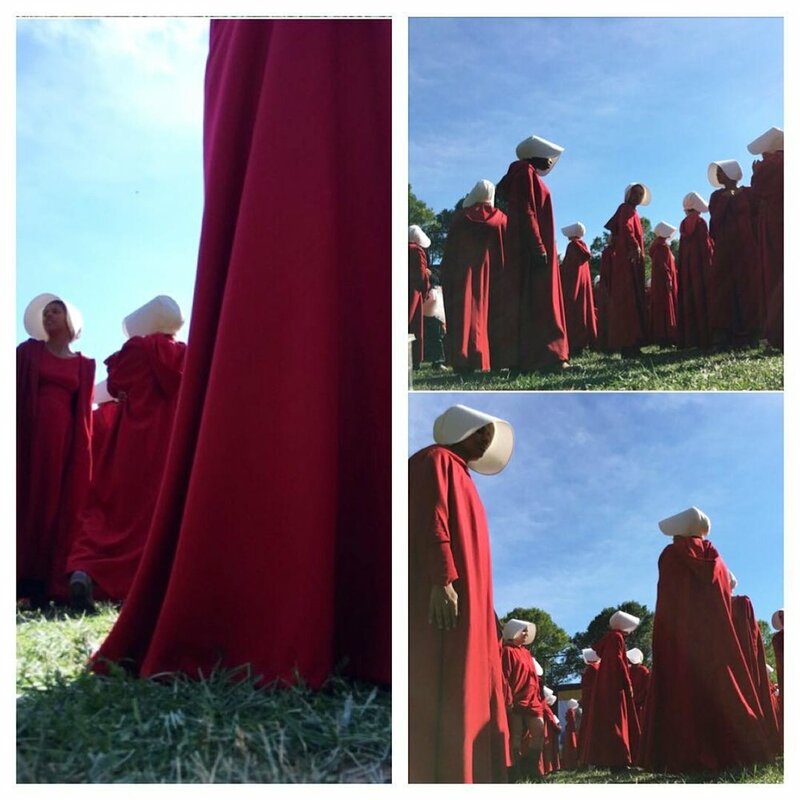 Notable takeovers included those of Elisabeth Moss, Reed Morano and the godmother herself, Margaret Atwood resulting in the most successful Instagram for a Hulu Original to date. April 1984, starting to type The Handmaid’s Tale in West Berlin. My study wall. First Handmaid’s Tale cover – collage by Gail Geltner – hanging on the wall. 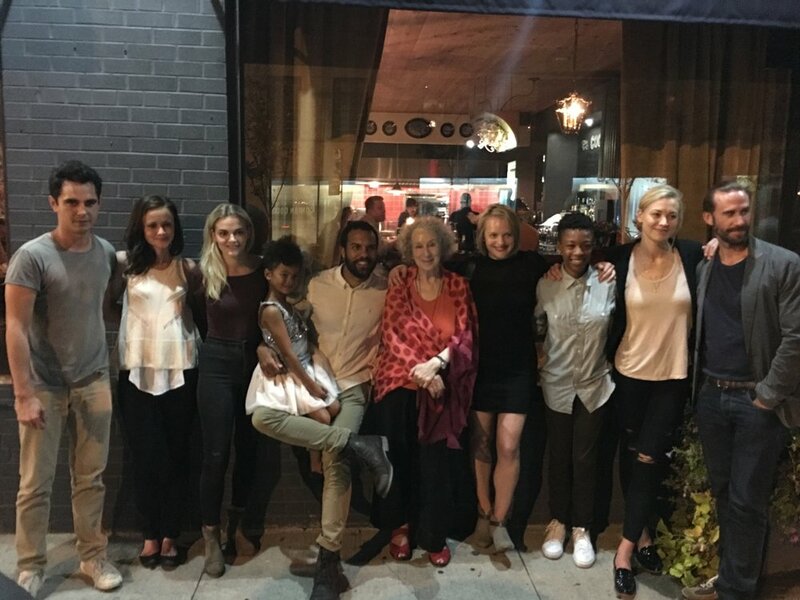 Cast party in Sept 2016, right before shooting starts. Daniel Wilson, the producer of the original 1989 film, at the cast party. Samira Wiley, me, Elizabeth Moss at the cast party. Me in costume for my “cameo,” Sept. 2016. First episode. Invitation for the Wrap Party, Feb. 2017. Lovely 4-handed design. Cover for paperback TV series tie-in, with overhead shot from the series. 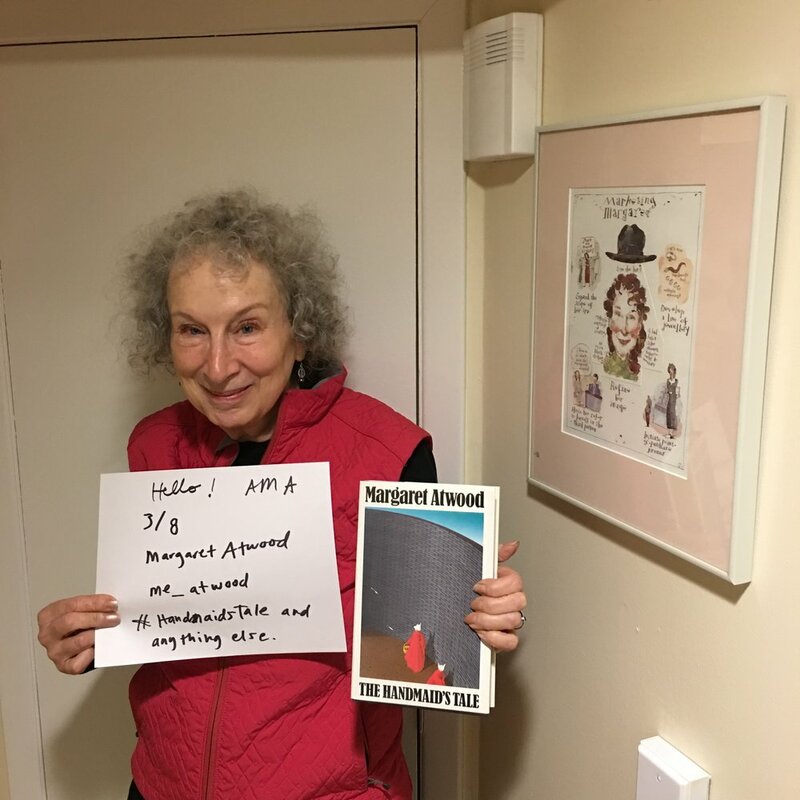 Reddit AMA identity picture: you need to post these to prove that you are you. With Bruce Miller, showrunner and head of the Writers’ Room for the Hulu/MGM television series, launching April 2017. Venue is Joso’s in Toronto. Our insanely talented camera operator Mike Heathcote finds a creative way to pull off the shoot.